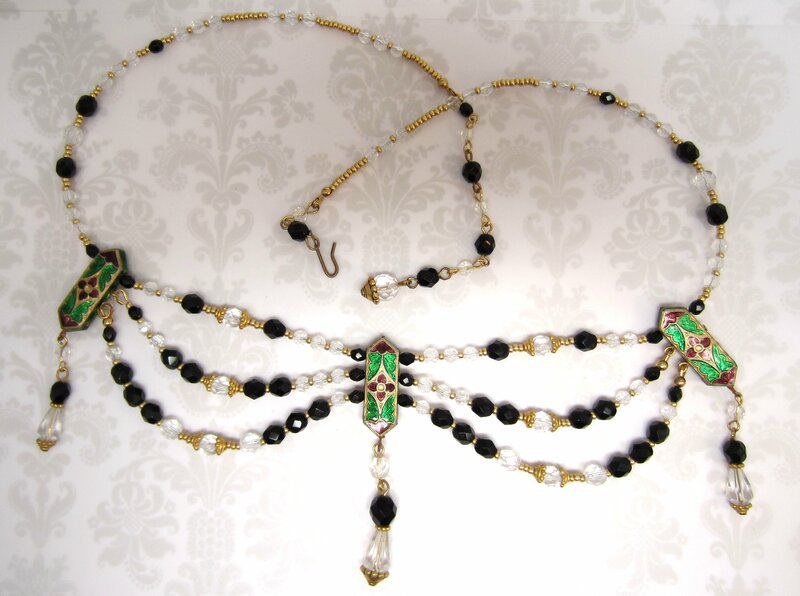 Opulent rhinestone studded black and gold Mini Kari beads from India make this Bollywood-inspired headpiece something extra special. 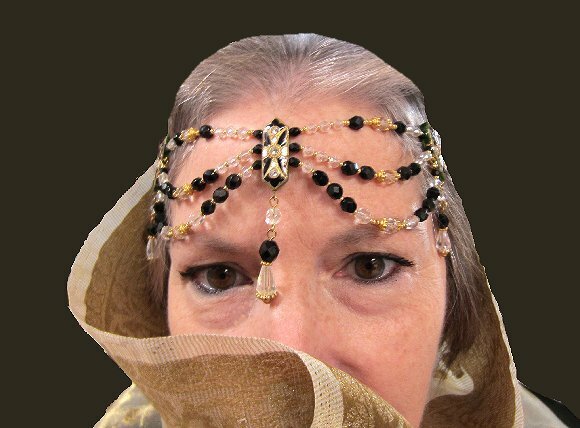 I've added faceted black and clear glass beads and lots of gold findings to make the headpiece as rich-looking as possible. 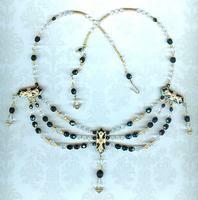 The headpiece is long enough that it may be worn as a necklace; and the Mini Kari beads are a completely different color combination on their backs, making this piece a four-in-one combination, and thus a bargain. 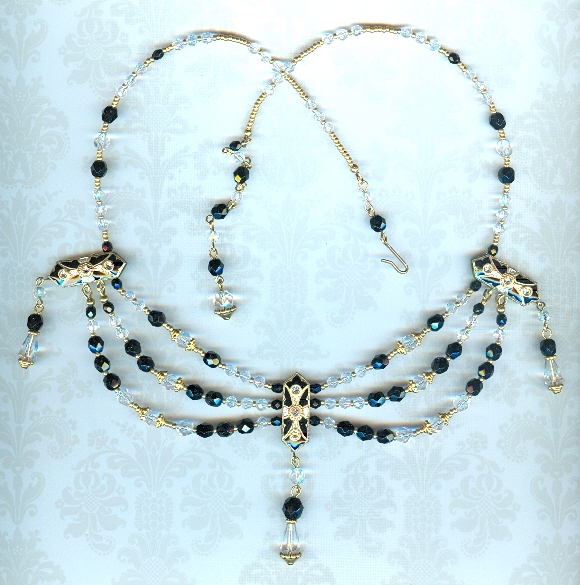 With its hook-and-extender closure, the fantasy headpiece has a working length of from 22" to 25"; although the hook can be placed around one of the beads in the strand to make it shorter. 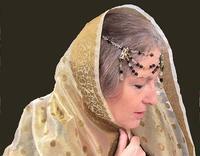 Feel like a maharani when you wear this exotic headpiece from SPARKLE PLENTY.